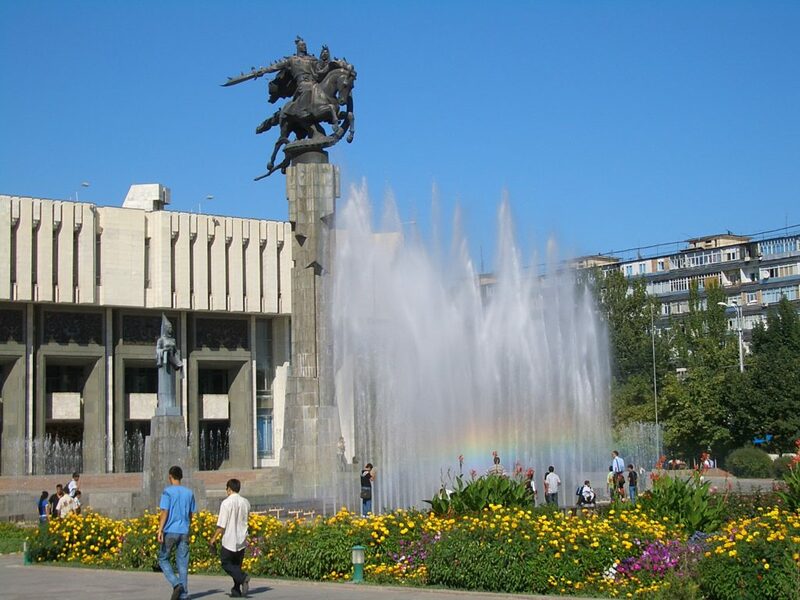 Politician Emilbek Kaptagayev wants the city of Bishkek to be known as Manas, a warrior whose adventures make up a massive epic poem dated back to at least the 18th century. The former presidential chief of staff posted that this would prevent “any temptations that might emerge after the passage of the years” to rename the capital after potentially-divisive politicians. 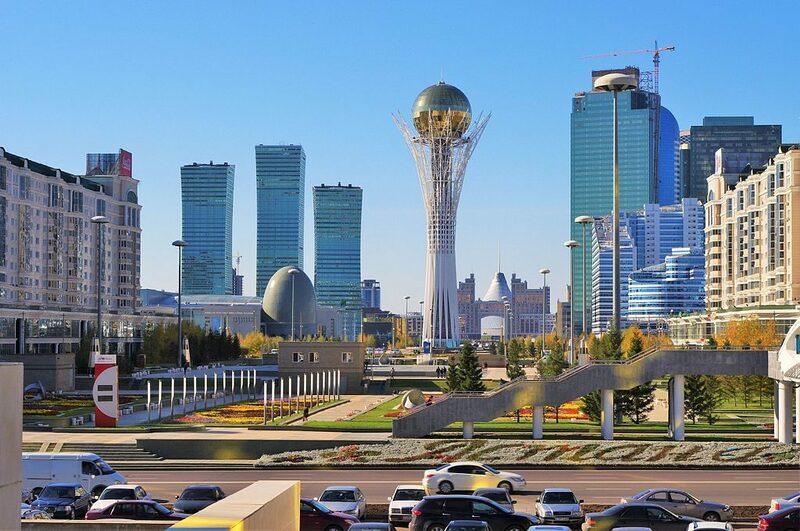 The impetus for this was the decision of neighbouring Kazakhstan to change the name of its capital city from Astana to Nur-Sultan, in honour of Nursultan Nazarbayev, the country’s first president who stepped down last week after nearly 30 years at the helm. 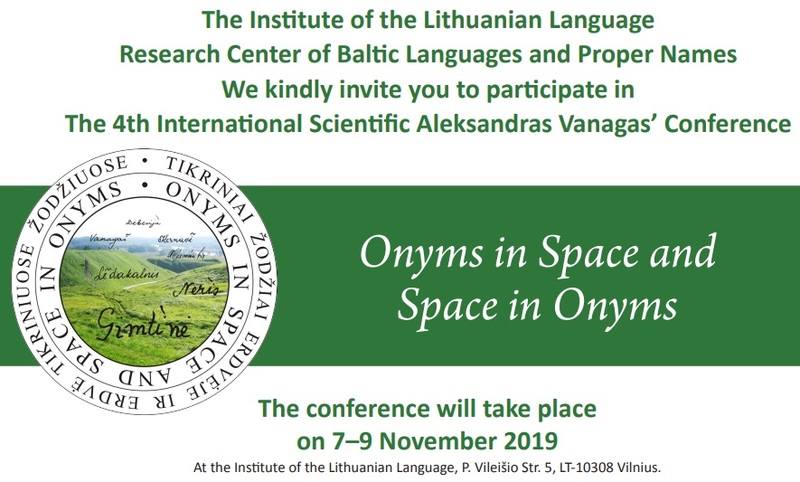 The Research Center of Baltic Languages and Proper Names invite you to participate in The 4th International Scientific Aleksandras Vanagas’ Conference, which will take place on 7–9 November 2019 in Vilnius. Kazakhstan’s second post-independence president wanted to rename the country’s capital after its first president, who served for 30 years. Kassym-Jomart Tokayev was sworn in as Kazakhstan’s president on Wednesday, a day after longtime leader Nursultan Nazarbayev announced his surprise resignation. Tokayev, who had served as senate speaker, was the designated interim replacement according to the Kazakh constitution. He is expected to serve the rest of Nazarbayev’s term until elections in April 2020. 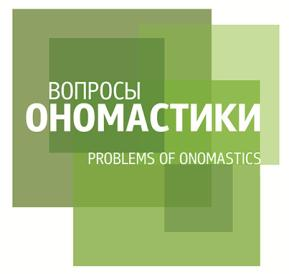 The editorial board of the journal Voprosy Onomastiki (Problems of Onomastics) is pleased to inform you of the publication of Vol. 16 (2019), Issue 1. The issue is available on the journal’s website. 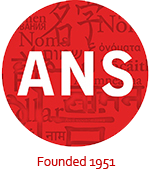 They, Hirself, Xem, and You (THEY) is a three-day conference bringing together linguists and other researchers and practitioners working on topics relating to nonbinary pronouns in English. 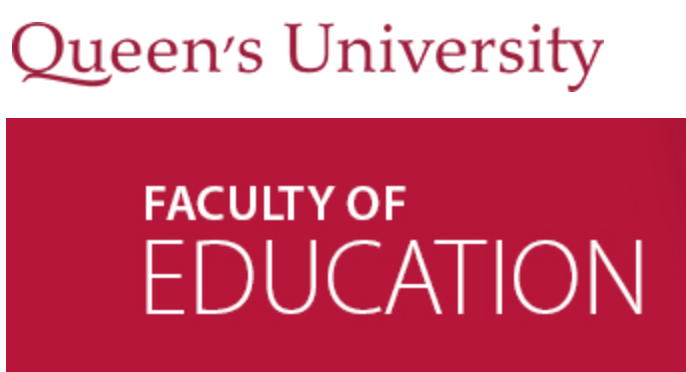 The conference will be held at Queen’s University, Ontario, Canada, June 11-13 2019. 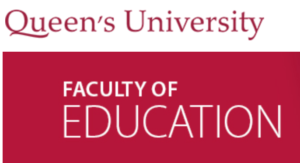 The goal of this conference is to bring together researchers working on topics relating to nonbinary gender (usage, users, and user experiences) in language, particularly in pronouns, in order to both raise the profile of this research within linguistics and other disciplines, and to build resources that can be used by educators, policy makers, community advocates, and researchers in other fields. Admission to the conference will be free. It will include two interleaved tracks of talks and presentations: one featuring research from linguistics (L-track), and one featuring scholars and practitioners from other fields (O-track). There will also be a series of four invited keynote talks, open to the public, and one of the conference outputs will be a resource compiling information and resources on nonbinary pronouns, for general use. Please see the conference website for more information. L-track proposals are due March 31, 2019. O-track proposals are due April 30, 2019. A downloadable Call for Papers can be found here. 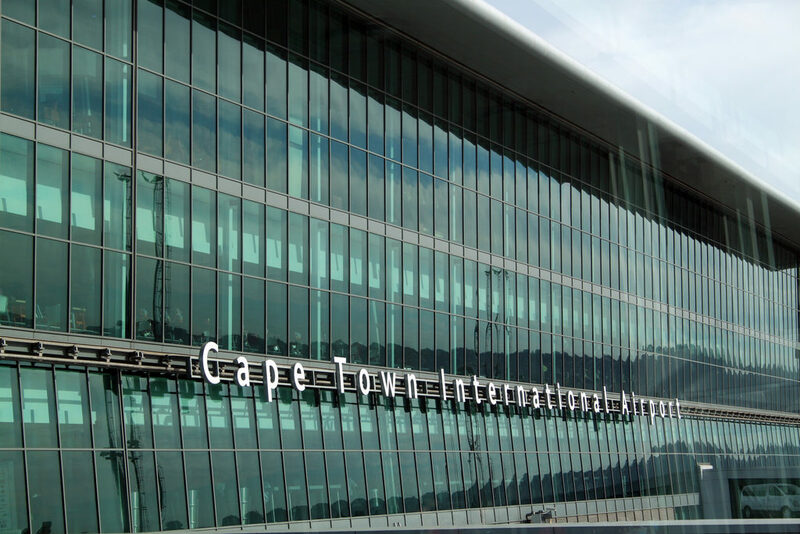 The Royal House of Mandela has thrown its weight behind renaming Cape Town International Airport after Winnie Madikizela-Mandela. At Madikizela-Mandela’s funeral in Soweto last year, leader of the Economic Freedom Fighters (a far-left South African political party) Julius Malema made the first call for the name change, having said that if the African National Congress (governing party) was serious about honouring maWinnie and her legacy, it should name the Mother City’s airport after her. Political parties disagreed in Parliament over the name change of the airport, with the ANC saying all names of Struggle heroes and heroines needed to be considered. The Airports Company South Africa has given the public until June 6, 2019 to submit names for the change. Once the public process is complete, a report of conclusions and recommendations will be compiled. Other names put forward include Struggle icons Albertina Sisulu, Nelson Mandela, Chris Hani, Robert Sobukwe and Alex La Guma. Dr. Cleveland Evans writes about names for the Omaha World-Herald. In his March 12th column, he looks at the history of the name Stella. German author Johann Wolfgang Goethe (1749-1832) wrote “Stella: A Play for Lovers” in 1776. It created a huge scandal when hero Fernando resolves his love for both Stella and Cecilia by living in a ménage à trois. Goethe rewrote the play with Stella committing suicide at the end in 1806. Both versions spread the name across northern Europe. By 1770, romantic parents were naming real girls Stella in America. The 1850 United States census, the first listing all residents by name, found 548 Stellas. In Social Security’s yearly baby name lists, Stella peaked at 55th in 1889. It gradually declined, leaving the top hundred after 1923. Want to know more? 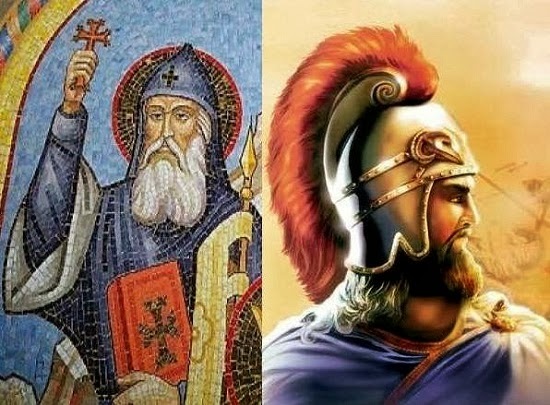 Read on to find out more about Stellas in history! 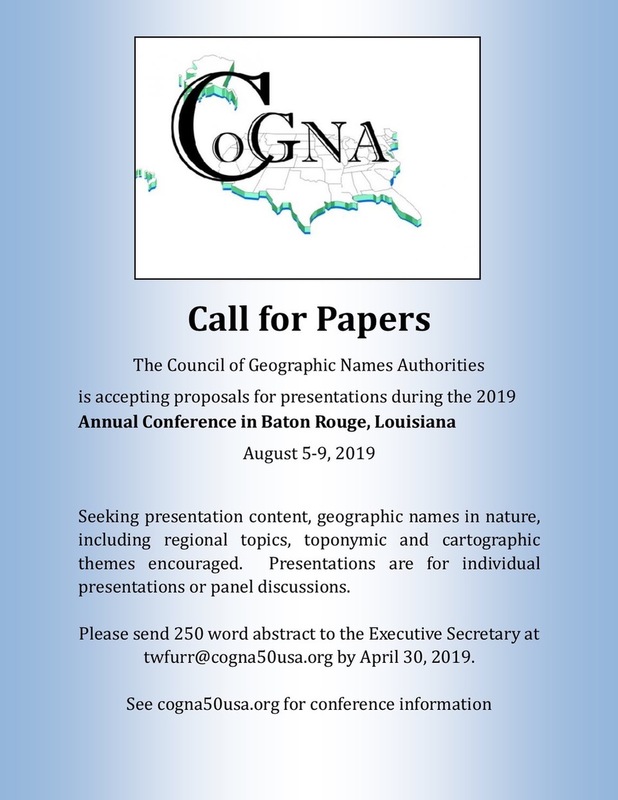 The 2019 Geographic Names Conference of COGNA (Council of Geographic Names Authorities in the United States) will take place August 5-9, 2019, in Baton Rouge, Louisiana. They are seeking presentation content, geographic names in nature, including regional topics, toponymic and cartographic themes encouraged. Presentations are for individual presentations or panel discussions. This conference is the only conference that brings together the State Geographic Names Authorities (SNAs) and the U.S. Board on Geographic Names (BGN) and provides participants a unique opportunity to share information and knowledge about the geographic naming process and research. There is no better way to network and benefit from the expertise of members and staff of the BGN, SNAs, Tribal authorities, other State and Federal mapping agencies, and members of the geospatial and academic communities. The conferences are open to the public for registration fees. Registration fees included all conference materials, welcome & closing receptions, and admission to all daytime conference sessions. Conferences conclude with an optional an educational-toponymic field workshop. You can download the call for papers here. The deadline for abstracts is April 30, 2019. Additional information on the conference is available at their website.